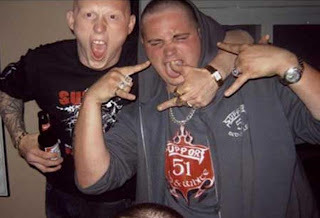 The White Boy Posse murder trial has been set. CBC is reporting that a 15-day preliminary hearing is set to begin Sept. 23 at the provincial court in Saskatoon. Randy O'Hagan is charged in three separate murders including the decapitation of Bob Roth for a drug debt. Police believe that they killed Lorry Santos by mistake while trying to break into the Saskatoon drug market. Not a mistake as in they didn’t mean to kill her, a mistake as in she wasn’t the target. It will be interesting to see what the evidence supports because local concern is that it was a hate crime. I’m no brain surgeon but I’m having a hard time understanding how they could have mistaken a private residence for the Saskatoon drug market. She answered the door and they shot her dead. If it wasn’t the drug market they could of just said wrong house, my bad and walked away. Yet they didn’t. They shot her dead. Either way it’s a tragedy. A beautiful young woman murdered for no reason. It’s hard for someone to build their credibility after that. 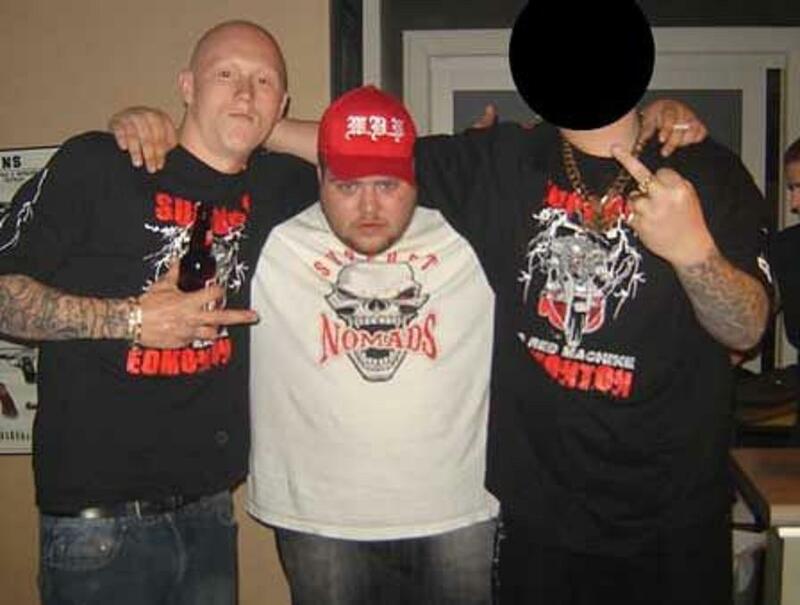 Notice that in the top picture the two on the sides are wearing Edmonton Hells Angels support shirts while the one in the middle is wearing a nomad support shirt. All are showing their connection to the Hells Angels. This picture below shows one of the same guys in the Edmonton Hells Angles support shirt with another Yahoo in a Support 51 shirt which means the same thing. 51 is for EA as in Edmonton Angels. Red and white also refers to the Hells Angels. So chalk up another three murders to the Hells Angels. How many does that make it now? I’ve lost count. I still need to find out what the status is on the WBP trial for those idiots from Whitecourt, Alberta who were arrested for drug trafficking then shot a sheriff in the hand trying to escape. They were recaptured shortly thereafter in the same small town. One blog reader commented how the guy on the left looks like WBP member Tyler Corbett who is wanted for drug trafficking. He’s still wanted so if people see him call it in. Just FYI... the blacked out face in the top picture is that of Sean Jackson... the middle guy is Matthew Lavigne. Thanks! So Corbett is still wanted?